Studying abroad has been one of my biggest dreams since I was still an undergraduate. I wanted to make it come true regardless of how difficult it might be for me. Finally, after almost 2.5 years of working experience, I had the opportunity to pursue my Master’s degree in Australia through the Australia Awards Scholarships, funded by the Department of Foreign Affairs and Trade (DFAT), Australia. 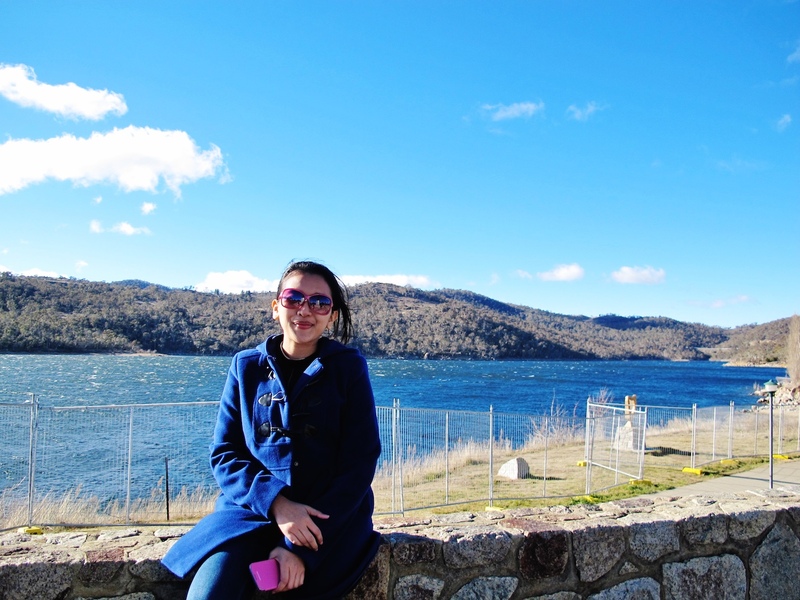 In this article, I want to highlight my Pre-Departure Training and study experience at the Australian National University (ANU), which include education services, an Indonesian research centre, and the alumni network. Before I departed for Australia, I underwent Pre-Departure Training at the Indonesia Australia Language Foundation (IALF) for six weeks. The length of the training period depends on your IELTS score. If you have a lower score, then you will go through a longer training period. The training provides essential information needed for when one arrives in Australia, such as advice on living and studying in Australia. It was quite useful to me as I had never lived abroad prior to this. I found myself enjoying the training period very much. The training also boosted my confidence to study in Australia because honestly, I was afraid that I wouldn’t be able to adapt to life in Australia. There was the cultural class, which was always fun. My favourite class was the academic class because I found the class very useful as the academic system in Australia is quite different compared to the one in Indonesia. In the academic class, I learned about essay writing, critical reading, developing arguments, and obviously, speaking. I had a lot of class discussions and debates that helped me develop my analytical skill. Besides that, Australia Awards in Indonesia also held Information Day for awardees to discover more about the Australian universities before the awardees submit their final study preferences to the scholarship committee. Overall, I was quite satisfied with the Scholarship as Australia Awards not only provided administrative support prior to my departure, but also prepared me on how to study and live in Australia. The degree I took was Master of Environmental Management and Development at the ANU. I personally think that choosing the right university is important. The main reason I chose this university was because I only wanted to study at the country’s leading university—fortunately the university offered a program study that suited my interests and career goals. I also anticipated that reputable universities would have excellent education services, which I believed would prove valuable to my future career. Although I received Pre-Departure Training prior to my study in Australia, the transition to a new culture and academic system was significantly harder than I anticipated. The most notable challenges included the language barrier and adapting to a new academic system. When I first came to Australia, I found the language barrier to be a huge challenge. I had a lot of difficulties communicating with locals as they spoke so fast, in an unfamiliar accent, and most of the time they assumed I understood what they were saying. Shifting from the Indonesian academic system to the Australian system was also a big hurdle. During my undergraduate studies, I’ve never had any experience writing academic papers in English. During my graduate studies, I had to write 12-16 academic papers per semester and there were a lot of guidelines that needed to be followed, for example: citation, reference, plagiarism rules, etc. However, adapting to the new academic system was not as difficult as it could have been as the university provided excellent support for international students. In my program study, there were academic supervisors for international students, which I think served as a huge help. They helped us check the papers, including for grammatical errors, and ensured that our papers addressed the assignment’s objectives. Besides that, they provided academic workshops and arranged tutorials if needed. Mostly, the academic staff in my department were very helpful and open to helping solve academic or personal concerns that the students may have. To this day, the university also offers a mentorship program, in which new students are paired with senior students to assist them in adapting to university life. The bumpy road of adapting to a new environment is likely to be felt for the first two months. After I received feedback for my first assignment, I knew how hard I had to study. For paper writing assignments, I basically thought the topic through, compiled related journals/reading resources, came up with research questions and arguments, built the paper structure, and started writing. I subsequently built up a new support network and after couple of months or so everything was all about fun! I also explored additional benefits of studying in Australia, taking into account the fact that Indonesia has a close relationship with Australia. One of the remarkable benefits is that Australia has a growing number of research collaborations with Indonesia. There are several research centres focusing on Indonesian issues in a range of areas from social, economic, environment, to politics. For example, there is the Indonesia Project, which regularly holds high-profile seminars and conferences. They usually invite local and international experts, as well as high-level government officials. It was an advantage to me as I could explore Indonesia from different perspectives, have fruitful discussions, and most importantly broaden my knowledge. At such events, I had the opportunity to meet and attend public lectures from some of the finest ANU graduates, such as Mari Elka Pangestu and Chatib Basri. I feel very fortunate to have this rare opportunity because it was almost impossible to attend such events in Indonesia and to get very close to these public figures. In addition, the Indonesia Project disseminates their projects by publishing high quality research journals. The journal, Bulletin of Indonesian Economic Studies, has been widely recognised as one of the top ranking journals in terms of citations. Being an Indonesian among many experts on Indonesia—both foreigners and Indonesians themselves—was a great opportunity. During my graduate studies, I had some opportunities to work with them. During my first summer, I worked with my lecturer, helping him collect and analyse secondary data related to the food estate policy in Indonesia. Subsequently, I worked with my classmate in preparing a report for APEC on Low Carbon Development Strategy for the Special Economic Zone Bitung. A month after I graduated, I worked part-time with a lecturer from The University of Melbourne, providing assistance in translating and transcribing interview audio files. All those jobs were related to what I studied at university and certainly enriched my practical experience and personal qualifications. Just a story about my first job with the ANU lecturer: I had originally requested the contacts of another person at a different institution where he was also involved since I planned to apply for summer internship there. In short, I wasn’t able get the internship due to technical reasons. Subsequently, the lecturer offered a voluntary research position. Despite it being an unpaid and time consuming position, I accepted his offer without any hesitation and worked wholeheartedly. Firstly, I greatly appreciated his generosity in providing guidance, sparing his time, and examining my paperwork. Secondly, I was able to work closely with a highly regarded professor in the field I planned to pursue after I graduated. Generally, I believed that the opportunity would be rewarding for me. When my research was nearly completed, the professor offered me a part-time position and ever since then, I was hired as ANU staff. I thought that my attempt to approach him in the first place was a bit silly, but to him I was an enthusiastic student. The month after graduation, he emailed me to offer a research assistant opportunity. Based on this experience, I could say: don’t hesitate to ask and to try. Always believe in your hard work because you’ll never know where your hard work could take you. As an Australia Awards Scholarships awardee, I have the privilege of joining the Australia Awards alumni network. This is the forum where one can connect and maintain relations with other Australia Awards alumni. This alumni network also provides professional assistance to alumni, such as through professional development activities that cover various themes, including “The Role of Communication in Regional Development” and “How to Write a Good Quality Grant Proposal”. 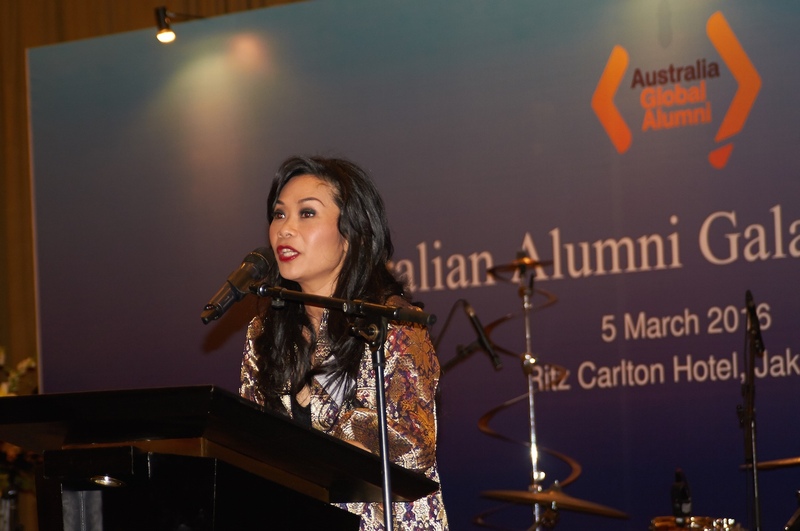 As for the Australian Government, this alumni network allows them to track the impact of Australia Awards and how it contributes to the alumni’s career development. Studying in one of the world’s most reputable universities enabled me to have opportunities to develop a good network. I currently work in a research institute for ASEAN and East Asia. In this new role, I often come across other graduates and academic staff from my alma mater who are also engaged in careers related to the ASEAN and the East Asia region, as well as Australia’s engagement with the aforementioned regions. Being able to leverage this network is an incredibly valuable asset for my career development. Overall, studying abroad is a life changing experience, regardless of where you decide to study. Make an informed decision about where to study to maximise your opportunities and get the most out of your experience. The original article was published on www.indonesiamengglobal.com. Edited and republished by Australia Awards in Indonesia with permission from the author and www.indonesiamengglobal.com.